Speed and accuracy combine making this T-120 Lo-Pro Servo a perfect choice when precision and quick reflexes are at work. Designed to give you the industry’s highest per degree resolution steering and plenty of speed to keep that chassis where you want it. 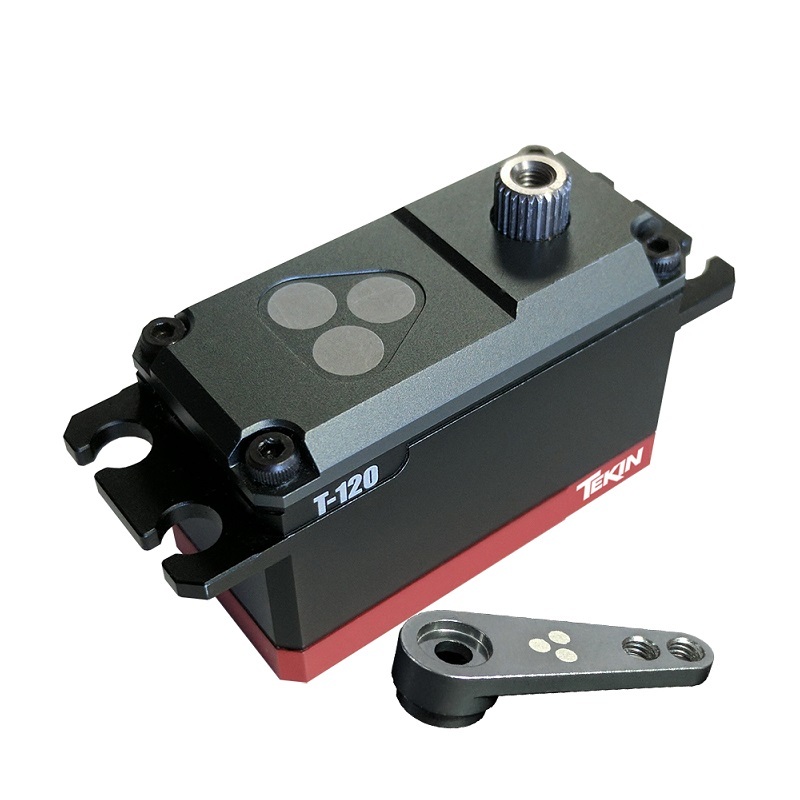 Full Metal Gear set, All Aluminum Housing, Digital Position Encoding and loads of Torque, this servo keeps you in control. Fine-tune your setup with and extensive set of adjustments via Tekin’s HotWire PC Interface.